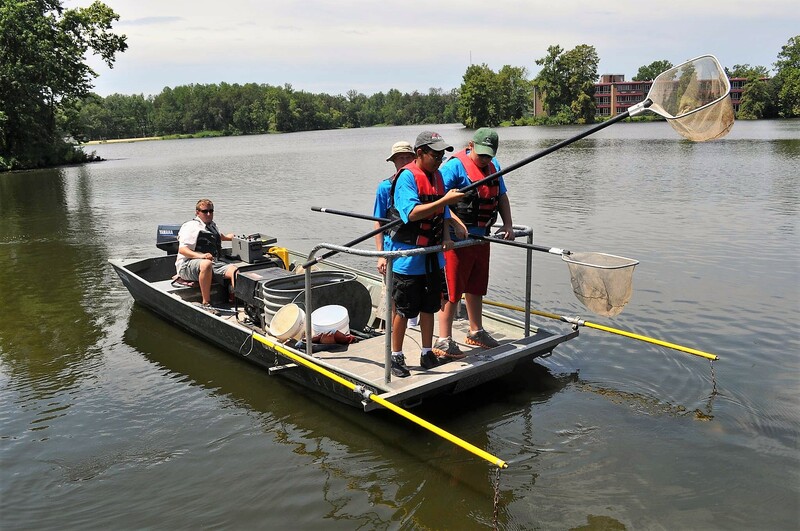 CARBONDALE, Ill. — After a five-year hiatus, Southern Illinois University Carbondale’s popular youth Fish U camp is back for summer 2018. The week-long camp, Aug. 6-10, is filled with fun activities for youths ages 12-18. It was previously held in 2011 and 2013 and drew many participants. Touring a local fish hatchery. Getting acquainted with experts from the Illinois Department of Natural Resources and the United States Fish and Wildlife Service. Making freshwater and fly-fishing lures. A canoe trip and boat/water safety instruction. Learning to identify aquatic entomology. Sessions focusing on watershed, limnology and aquaculture. Swimming, hiking and zip lining. Meeting members of the American Fisheries Society and the Saluki Bassers Team from the university. Touring the SIU campus, wet lab and ponds. The week wraps up with a friendly fishing tournament and fish fry. Families are welcome to attend the last day of the camp where there will be hands-on activities and fishing for younger children. Participants can attend the camp on an overnight basis and enjoy additional evening activities. The cost is $325 and the price includes all lodging, meals and activities, as well as a T-shirt. There is also a day camp option, from 9 a.m. to 4 p.m., and the $185 registration covers all activities, lunch, snacks and a T-shirt. The camp will take place at SIU’s Touch of Nature Environmental Center, located about eight miles south of Carbondale on Giant City Road. The 3,100-acre experiential learning facility is located along the shores of Little Grassy Lake and features ample learning locations indoors and outdoors. The deadline to sign up is July 23, but spots fill fast, so early registration is recommended. Registration is available online. 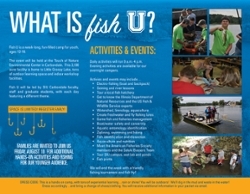 Register for the Fish U Day Camp here. 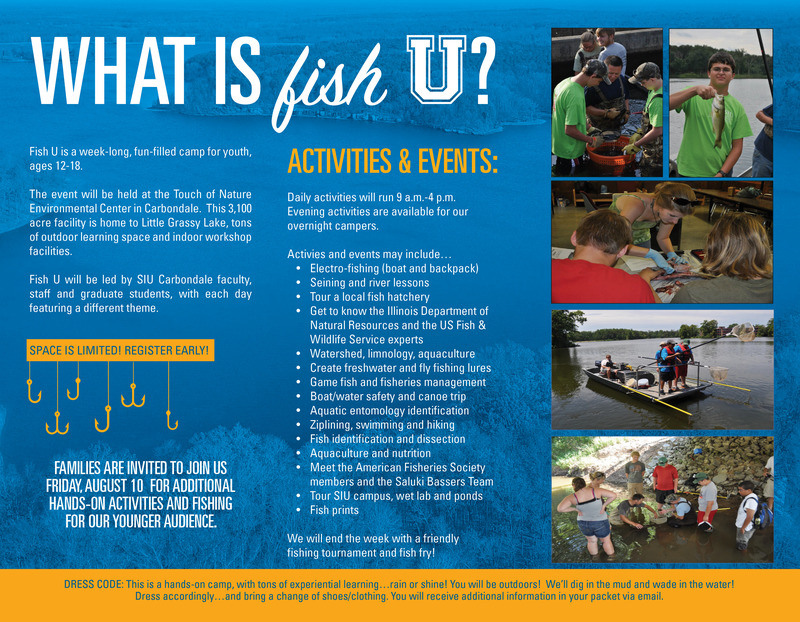 Register for the Fish U Overnight Camp here. Print and complete the form and send it along with registration fee to the address on the form. For additional information, contact Candie Glover, program manager, at cglover@siu.edu. Media Contact: Candie Glover, program manager, at cglover@siu.edu or 618/201-1787.